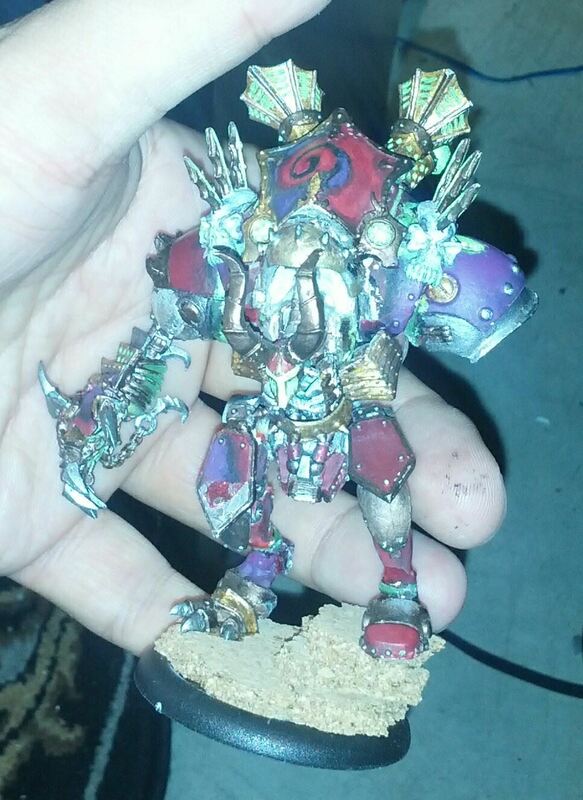 When we last saw the Deathjack, it was lookin’ a little worse for wear. I bulked him up a little bit, and I wish that I could remember where his other foot ended up. With MY army it could’ve ended up anywhere… as a pointy hat, a spikey fist-thing, intimidating codpiece… no idea. As usual, bits from the “ZOMBIES” board game make for excellent spacers and gap fillers. The legs are held to the feet with one part glue, one part greenstuff, and a prayer. It was at this point I regretted not stripping the paint first. The model, at this point, looks like it actually crawled out of a scrap heap. The next step was adding bits that would cover naughty bits, if this wasn’t a robot. Why? Cause all my Khadoran jacks do it, and I needed something to hide how this thing was put together (with the help of more greenstuff later). From this point, the model sat for a few more months before I got around to the puttywork. 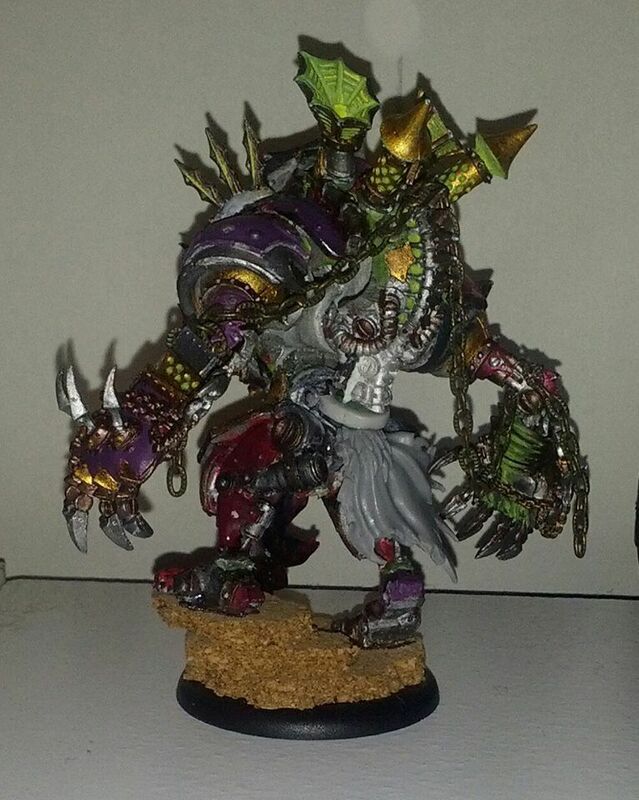 I had an old toothy ring that I got as a kid, so I re-purposed to make the shoulders. Even my childhood isn’t safe from the bodger’s knife. 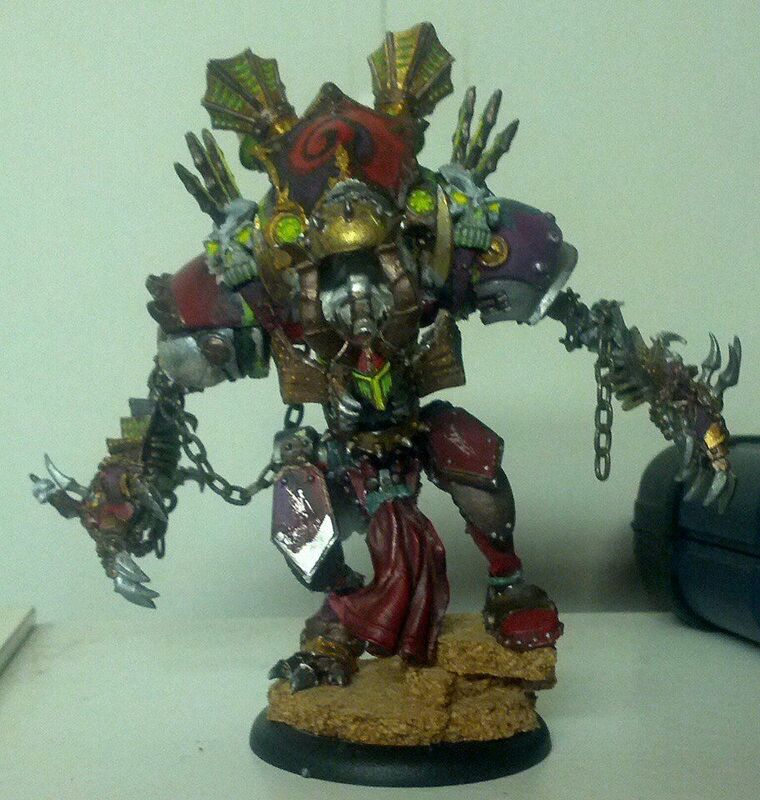 The Deathjack is free to terrorize Immoren once again!